A majority of the front suspension for 5S003. 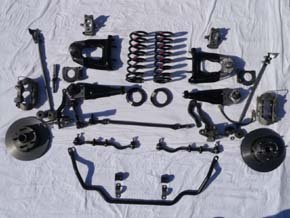 All the pieces seen here are factory early Ford pieces as was on 5S003 when it was new. All the mounting hardware is finished as well. Paint daubs are not applied yet. The suspension pieces were restored or NOS pieces replated through John Brown at Thoroughbred Restorations in Oklahoma, the same firm given the task of restoring 5R002 , this way these two GT350's will look symmetrical when next to each other. Thanks to John for his endless efforts in the helping with the restoration of 5S003. 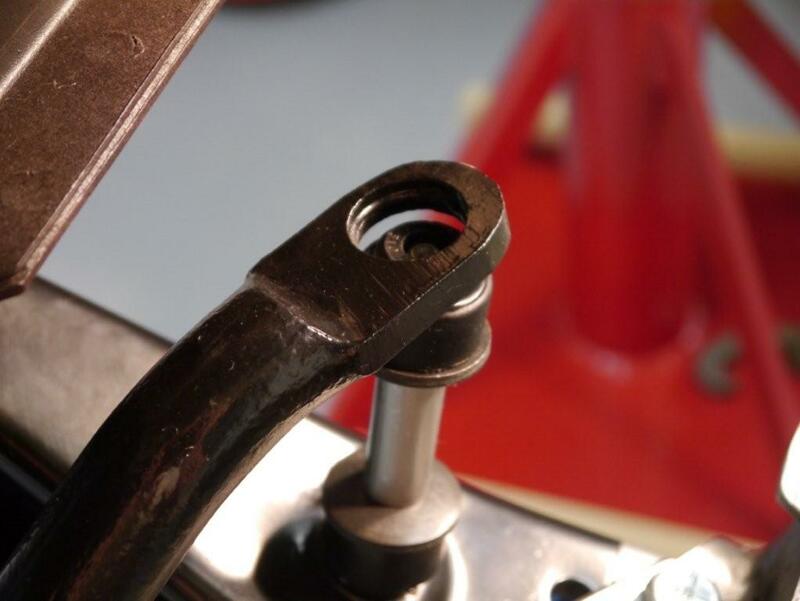 Very early 1965 GT350 front sway bar with thin ends.